We highlight some of your best options in quality walkie talkies that are ideal for off-road use. 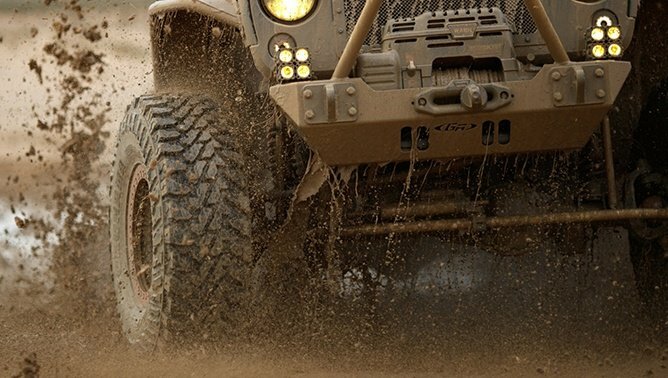 If you’re venturing away from the road more traveled in search of off-road adventure, staying connected is key for safety, confidence, and peace of mind. Of course, many off-road voyages intend to get 4x4 and Jeep owners as far away from civilization as possible — meaning your Smartphone may not be able to find a signal. Enter the off-road walkie-talkie. By using its own wireless communication protocol, a quality set of walkie talkies can allow multiple users to stay connected when the location or landscape means that cellular communication isn’t possible. With a long range and numerous signal-enhancing technologies, a set of quality walkie talkies makes it easy to stay connected with your fellow off-roaders, and your campsite or base, even if they’re miles away. Best of all, many kits are easily expandable — allowing more users and more walkie talkies to operate on the same channel. Below, we’ll highlight some of your best options in quality walkie talkies that are ideal for off-road use. Spending a small fortune on an off-road walkie talkie kit is cool and all, but have you seen the Retevis RT21 Walkie Talkie Kit? We’ll be seeing more from this manufacturer later on this page, but the RT21 kit makes our Editors Choice designation for its stellar owner reviews, highly affordable pricing, and the fact that this kit includes four handsets — each with its own charger, and a remote hands-free mic and earpiece. Compact sizing and a low-profile design makes the Retevis RT21 Walkie Talkies highly portable and easy to bring along for any voyage and operation is dead simple: just take the units out of the box, charge them up, turn them on, and get talking. A good warranty and 30-day return policy make this an easy kit to try in your specific conditions to ensure adequate performance. Rugged construction and dust-proofing ensure a long and worry-free life, even in harsh conditions. With the Retevis RT21 Walkie Talkie Kit, off-roaders get four handsets and all the goodies, backed by confidence to spare, and all for a highly compelling price. Owner reviews are among the highest on the page, too. If you take off-roading seriously, you probably want little less than a top-of-the-line walkie talkie kit. 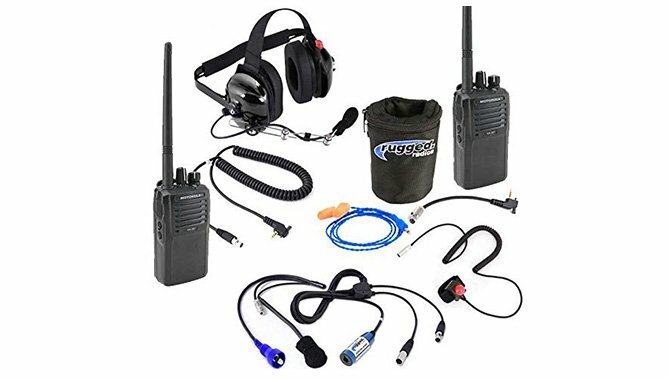 If that’s the case, look no further than the Rugged Radios Offroad-VX Off Road Racing Driver & Spotter Kit. This kit takes our Best Splurge designation easily, for it’s combination of an excellent accessory kit, numerous handy add-ons, and top-quality handsets. In exchange for its hefty asking price, this kit has everything you need to stay connected, virtually anywhere the trail takes you. Included are a pair of VX261 radios from Motorola, an industry leader in wireless communications. Military grade performance is built in to these high-powered radios, which offer 16-channel capacity. Included are various headsets, extension cords, jumpers, harnesses, and even a helmet with built-in boom mic. A remote-mountable push-to-talk button is included too. Ideal for use by the serious off-roader or in off-road motorsports, the Rugged Radios Offroad-VX Off Road Racing Driver & Spotter Kit delivers big confidence and quality, with a price-tag to match. This might be the last off-road walkie talkie kit you ever buy. With low pricing, strong performance and good owner reviews, the Olywiz Handheld Long-Range Walkie Talkie kit easily takes our Best on the Cheap designation. 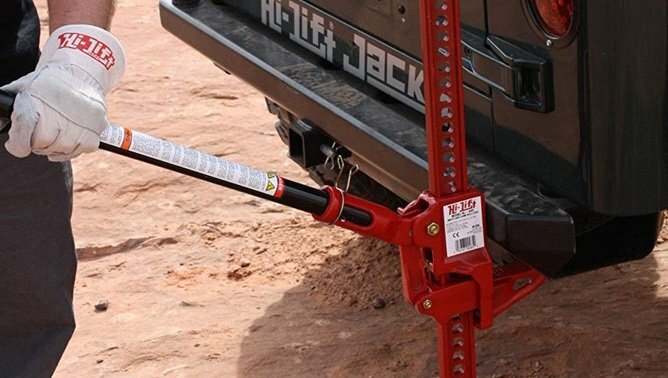 This kit is perfect for the off-roader looking to stay connected without spending a fortune. Included are two handsets (a four-handset package is available), each with a long-lasting battery, a sleek and sporty design, and some light weatherproofing that’s meant to resist dust and light rain or moisture. Batteries, chargers, adapters and belt clips are all included, as is a handy lanyard strap. 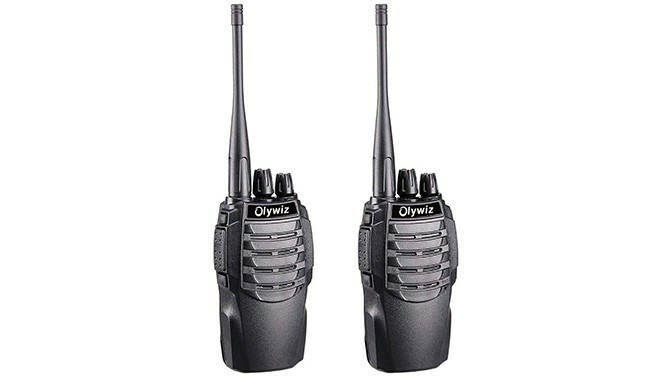 The Olywiz Handheld Long-Range Walkie Talkies can communicate with similar units with ease, though connecting to other handsets is just a matter of joining the same frequency. Users report decent performance, and tend to appreciate the compact size, light weight, and ease of portability. Special circuitry helps mitigate unwanted battery drain and allows for faster charging, too. If you’re after a pair (or two) of off-road walkie talkies, the Olywiz Handheld Long-Range Walkie Talkies are worth further investigation. How handy are these?! The Cobra ACT220B Chat Tag Rock radios probably wont reach each other over a mountain pass or from deep within a canyon, but with 12 miles of range in ideal conditions, an extremely simple, interface-free design, and extremely portable sizing, you’re not likely to find a simpler, or more portable walkie talkie anywhere. The Cobra ACT220B Chat Tag Rock can be recharged via USB, and clips easily to your seatbelt, shirt, or backpack strap. 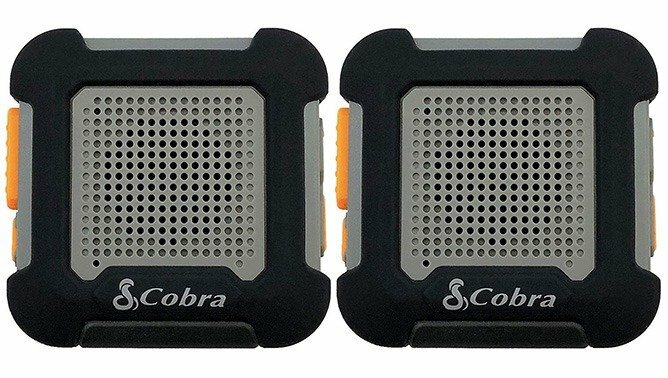 Given the handy and small design, and built-in clip, we figure users will have no trouble keeping the Cobra ACT220B Chat Tag Rock attached and at the ready, at all times. Look for up to 10 hours of operation on a single charge. Two radios are included, and IPX4 waterproofing means they’ll stand up to some water, too. Owner reviews are mixed. Most complaints centre around somewhat limited communication range, but the rest of the owner reviews rave about the design, shape and ease of use of this innovative radio kit. This walkie talkie got our attention with its dustproof and water-resistant construction, rugged build quality, and stellar owner reviews. The weather-sealed TYT MD-390 Walkie Talkie can be used with confidence in tough conditions, and doesn’t mind getting dirty, wet, or tossed around in your truck or Jeep. The TYT MD-390 Walkie Talkie is highly compatible with other units and includes up to 1,000 available channels — as well as text messaging functionality, and compatibility with Mototrbo Tier I and II signals. The unit also operates in both digital and analog modes. Updatable software ensures optimal operation for the life of the unit, and both a standard and high-gain antenna are included. Owner reviews are highly positive and report solid quality and good range, though the TYT MD-390 Walkie Talkie is a pricier pick and includes just one handset — making it ideal for the off-roader after a quality product who is looking to join an established network of other walkie talkie users on the move. Ideal for the user who is curious about the benefits of walkie talkie use — but one who doesn’t want to sink a lot of money into one — the Amcrest ATR22 Two-Way Radio makes a compelling pick. Strong owner reviews and affordable pricing back this kit up. Two radios are included, and the Amcrest ATR22 Two-Way Radio also ships with all of the accessories and add-on functionalities you might want—including belt clips, wrist straps, headphones and chargers. The Amcrest ATR22 Two-Way Radio is also available in 5 colors, and each includes a built-in flashlight that’s bound to come in handy—though these units have no weatherproofing rating, meaning you’ll have to keep them dry, and away from the mud. Intelligent charging and a built-in time-out timer help ensure consistently good battery life, and a 1-year warranty is included. While we don’t recommend cheaping out on a product that could save your life, this two-way radio has good owner reviews that report good performance, and it won’t break the bank. With sturdy construction, many handy features, and a relatively affordable price-point, the BTECH DMR-6X2 Two Way Radio allows for easy channel programming, easy software updates via your PC, special programmable keys, and a full range of included accessories. This unit is designed to bridge the gap between amateur and commercial use, and users can even store some 4,000 channels, 10,000 talk groups, and well over 100,000 contacts. The BTECH DMR-6X2 Two Way Radio also has built-in GPS and an audio recorder, which ensures you never miss an important message if you happen to be away from your handset. This function also allows users to record a message that’s automatically forwarded once a signal becomes available. 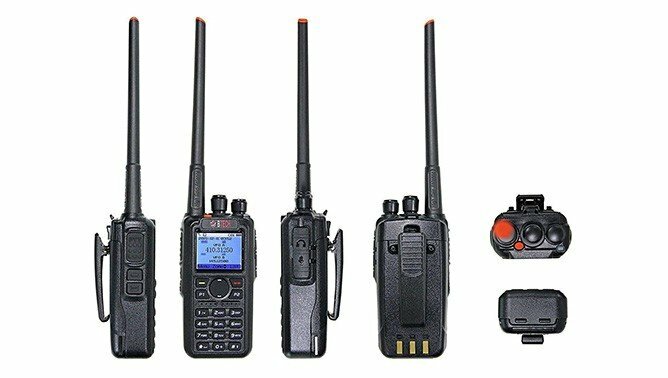 Text messaging functionality is supported, and free software updates keep the BTECH DMR-6X2 Two Way Radio operating optimally at all times. US-based warranty support helps round out the package. The enhanced feature set and GPS functionality make this a great pick for the off-roader, but there’s no weatherproofing rating—so you’ll have to exercise care to keep the unit dry and clean. 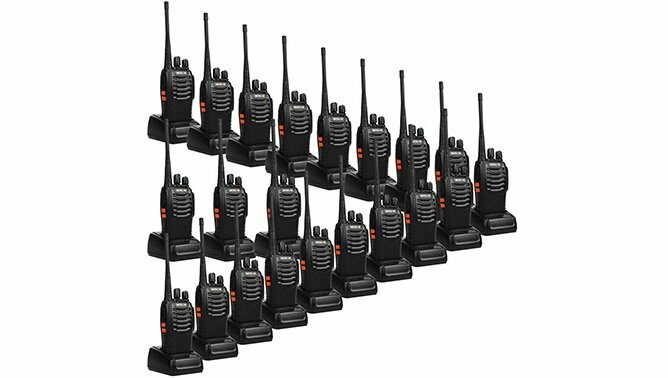 Looking to outfit your whole squad with a set of off-road walkie talkies, and even have a few units left over for use around the house, cottage or camp? 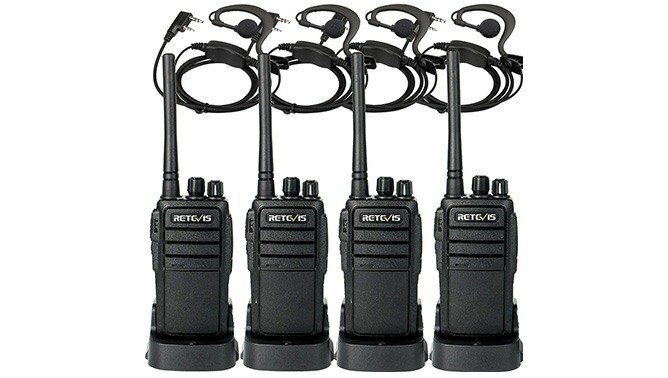 The Retevis H-777 2 Way Radio Kit has you covered in a big way. This kit features a whopping 20 handsets at a questionably low price, but owner reviews average 4/5 stars, making the Retevis H-777 2 Way Radio Kit worth a try. You’ll get 20 handsets designed for easy, no-BS, out-of-the-box operation with one another—just flick the unit on, and get chatting. Of course, using the H-722 handsets on a different network is also possible with a few changes to the on-board settings. A USB-powered charging base and full accessory kit including belt clips and lanyards is also included. Enhanced convenience and security features, including CTCSS code compatibility and voice prompts, add to the appeal. The Retevis H-777 2 Way Radios also include a built-in LED flashlight, and this kit comes backed by a one-year warranty, and a 30-day, no-hassle return policy. Given the low price and strong owner ratings, this kit is more than worth a try. For the off-roader more concerned with portability and ease of use than long-range performance, the highly affordable and simple-to-operate Cobra CX335 GMRS/FRS Two-Way Radios might just be the ticket. These GMRS/FRS radios are very inexpensive, able to receive weather alerts from 10 NOAAA channels, and include built-in weather resistance. Voice activation features allow for totally hands-free operation, and unique caller tones can be set to easily identify whoever you’re talking to. Over 2,600 channel combinations are available, and private chatting, via a shared passcode, is also possible. The range is rated at 23 miles, though this is in perfect conditions. 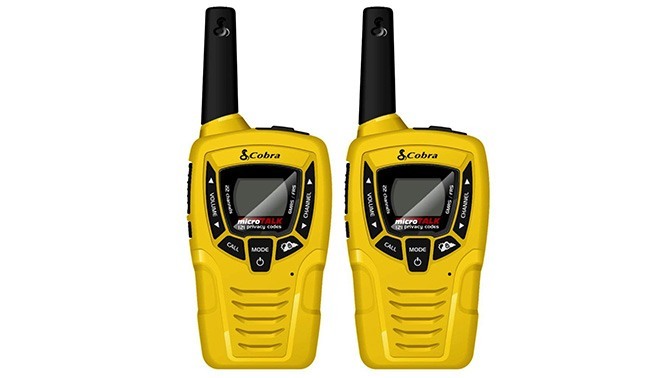 We may not pick the Cobra CX335 GMRS/FRS Two-Way Radios for a dangerous trek far from civilization, though given the price and good owner reviews, they should be just fine for staying connected to other off-road pals along a shorter stretch of rugged trail. 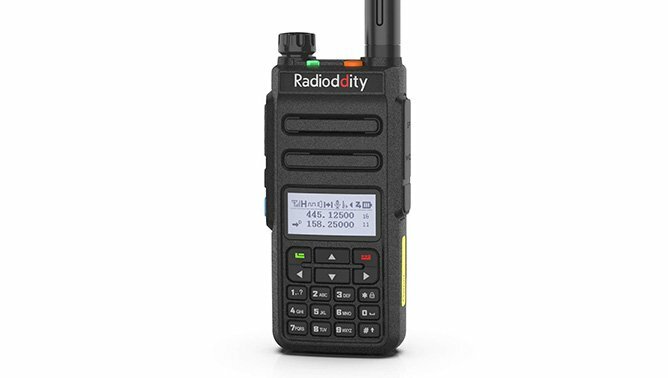 With an easy-to-use screen, advanced functionalities and a powerful interface, the Radioddity GD-77 Dual Band Radio is a standalone handset that’s easy to use on many existing networks with ease. 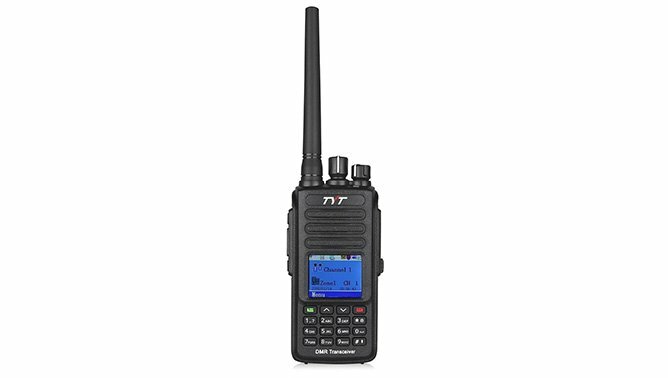 Whether you’ll buy several of these handsets to create your own network, or a single handset to connect with an existing one, the Radioddity GD-77 Dual Band Radio has your back. Highly compatible with numerous networks and signals, special DMR technology is utilized to enhance audio quality. Updatable firmware facilitates optimal operation at all times, and the battery is designed to last for a full day of use, with up to 48 hours of standby time. The easy-to=use keypad takes the guesswork out of manipulating advanced features, and other buttons and controls can be customized to taste, too. With 5 watts of power, range and audio quality should impress. The Radioddity GD-77 Dual Band Radio is designed to work flawlessly for both novice and expert radio users. Compact and highly portable sizing make this one easy to take anywhere. Most manufacturers of off-road walkie talkies don’t list a maximum communications range for their handsets to stay connected to one another. The reasons are numerous and include the wide range of variables at play. In a flat, wide-open space, a set of walkie talkies will be able to stay connected to each other over a larger distance than the same set of walkie talkies used in more challenging terrain. If you’ll be off-roading in or near dunes, mountains, a forest, canyons, or any other landscape that can interfere with and block signals, expect the range to be decreased. Translation? The range at which walkie talkies work is affected by numerous factors aside from the actual hardware in the handset. As such, be sure to read owner reviews, or opt for a model with 30-day return policy, which can allow you to test the range of the handsets yourself to confirm satisfaction. Most of the walkie talkies listed here are designed to work, out-of-the-box, with their sibling handset(s), though switching to a different network is possible, if the walkie talkies you choose will be used to connect to an existing network of different handsets. Just do your homework, first: given the wide range of frequencies, channels, and secure communications protocols, some handsets may prove incompatible with others. 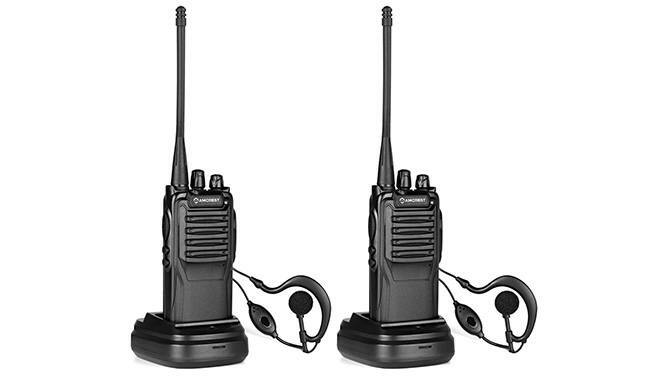 Check the specs on the existing walkie talkies in your network against the product you’re considering for purchase. If in doubt, ask the seller whether or not their product will be compatible. Off-road walkie talkies come in many styles, each with their own unique features and price-points. 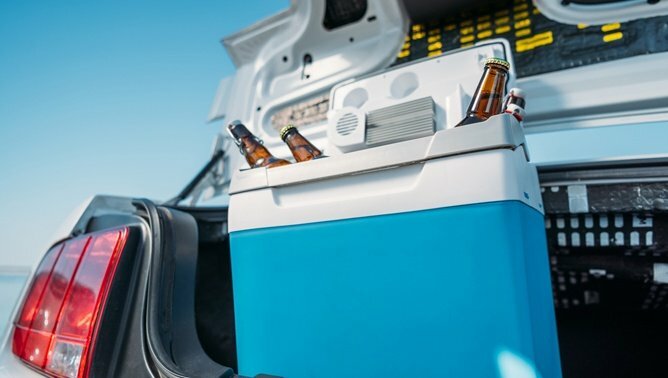 For the avid off-roader, we’d suggest the no-BS approach of opting for a quality unit from a reputable brand, which may involve a higher purchase price. A unit with both a built-in flashlight and some level of water and dust resistance (or water and dust proofing) will likely last longer, and be more comfortable to use in a wider range of conditions. 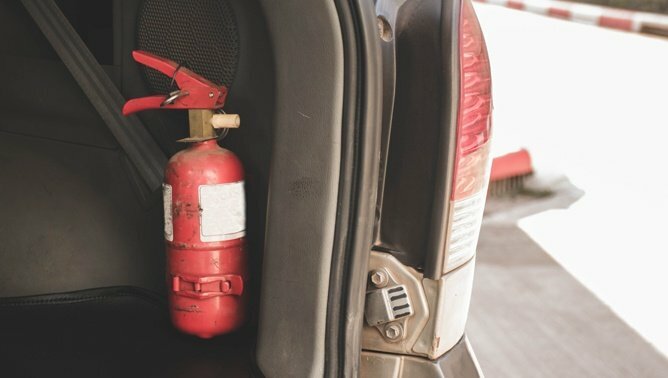 Further, mind your placement of the walkie talkie within the vehicle, and be sure to place or mount it in a way that helps prevent knocks and bumps caused by travel over rougher surfaces. Some owners clip the handset to their seatbelt, and a variety of accessories are available to mount the device in a safe place. Some units even ship with accessory remote earpieces that help enable hands-free operation. 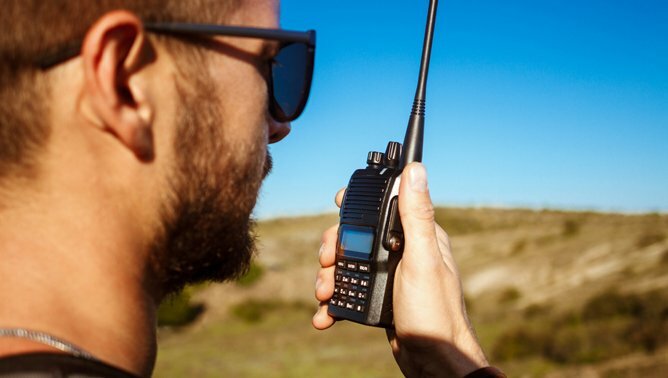 As a walkie talkie may be your only means of communication on certain off-road outings, users are advised to take steps in ensuring the unit is always at the ready. For extended-length or multi-day trips, consider investing in some extra backup batteries, as well as a handset and battery charging station, if available. This makes it easy to keep a supply of spare batteries at the ready. Conversely, shop for a handset that supports direct USB charging. 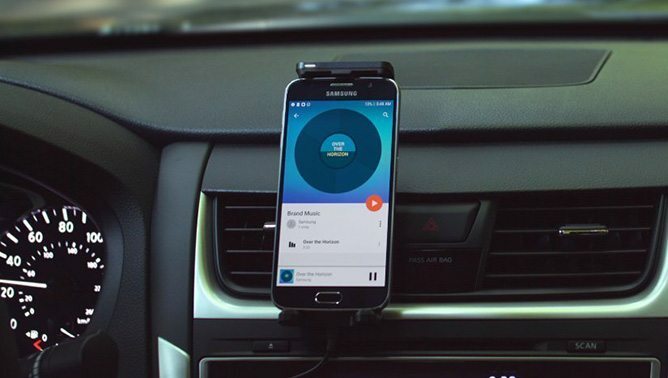 In this case, the handset can be plugged in to charge at all times while you’re driving your vehicle. You may need a 12-volt USB power adapter and cable if you’re not already using one for your smartphone.